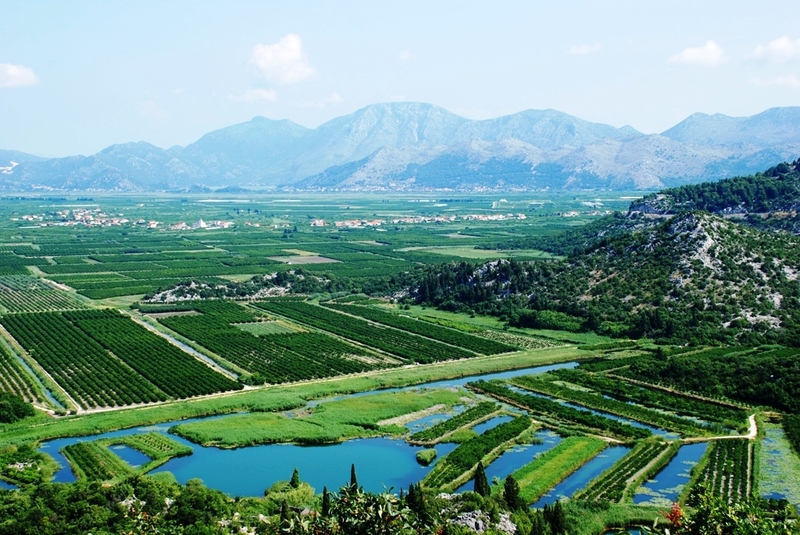 The Neretva River Delta grows enough citrus to serve several countries. 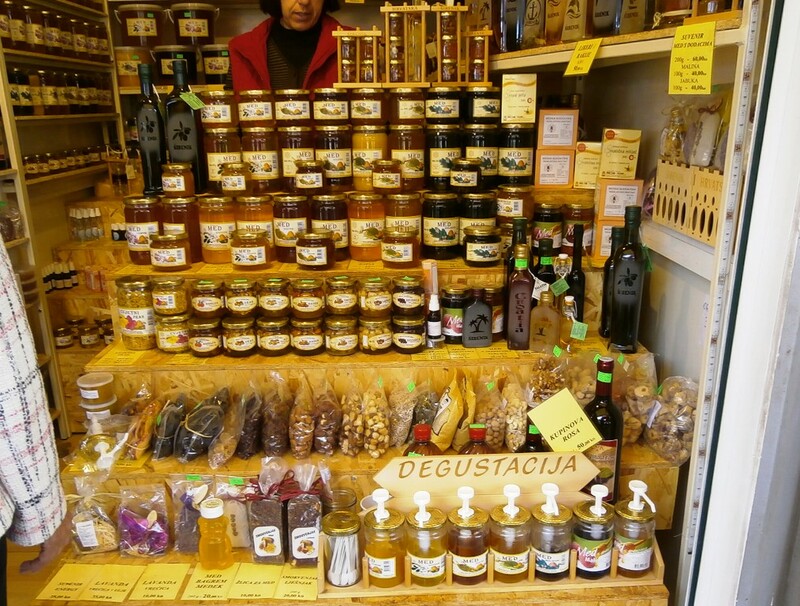 Counting down, these items make my list of the ten best things I discovered about Croatia. The fresh markets offer a great choice of fruits and vegetables during the harvest season. 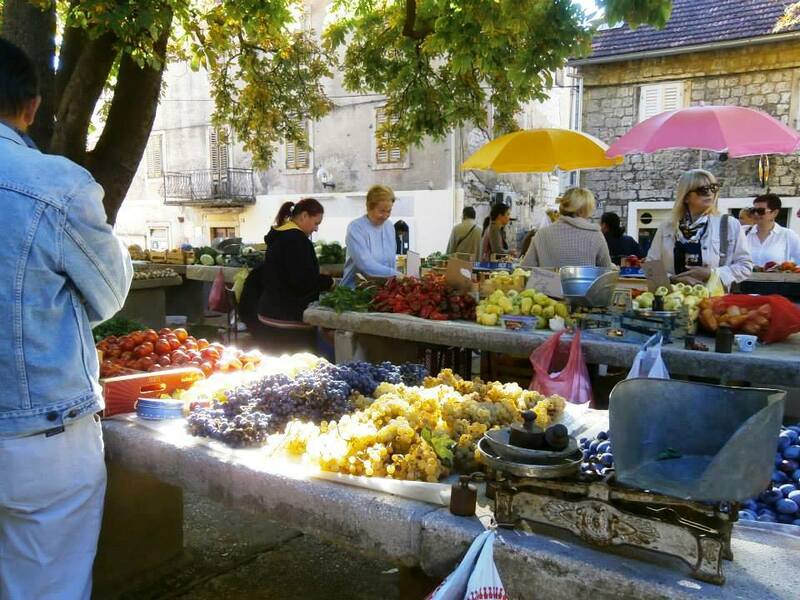 Everything grows fresh in Croatia. We were fortunate to be living in Croatia during harvest season. There were melons, pomegranates, figs, plums, grapes and apples. And there was citrus. 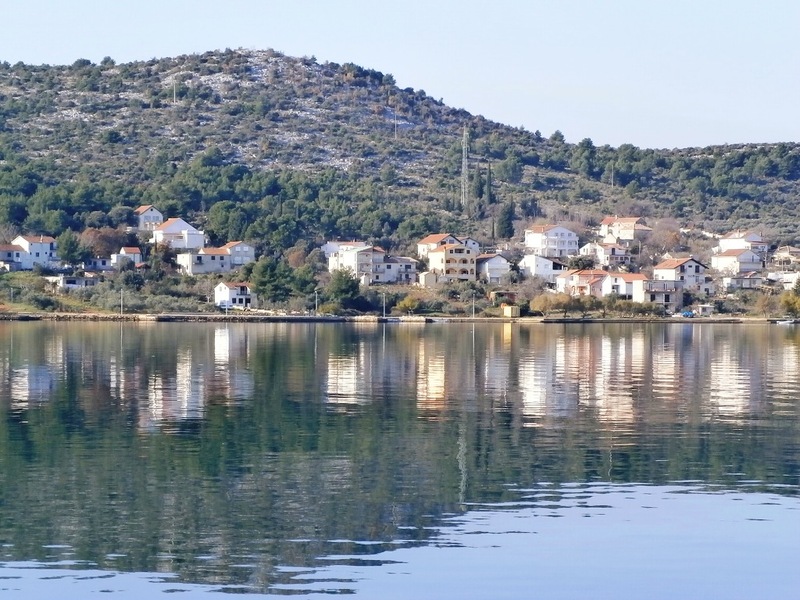 Almost the entire Neretva River Delta is planted with citrus – mandarins, lemons and several varieties of oranges and they are quite affordable. Other fruits like bananas and tropical fruits are imported. The variety seems endless and prices are quite good. Every place we have visited has a coffee bar (or two or three) on every block, or so it seems. I am not saying that the coffee is as good as what we could purchase at every market in Panama or Costa Rica where it was grown and picked and roasted within walking distance of our house. 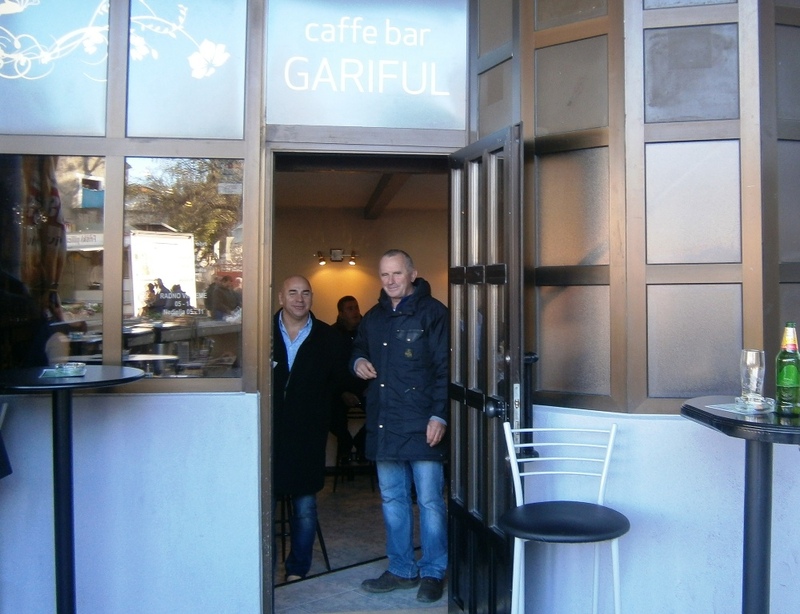 But every café, bar and coffee shop in Croatia has an espresso machine, and it is a custom in Croatia to ‘take coffee’ for almost any occasion. There are countless vineyards and olive tree groves throughout Croatia. I think everyone in Croatia either has their own olive trees or is related to someone who does. The same goes for vineyards. They make a lot of olive oil in Croatia, and they also make a lot of wine. Production numbers seem small compared to wine growing regions in other parts of the world, but Croatia’s population is only about 4.5 million, and they consume most of what they produce. However, wine lovers who get a taste of the finer Croatian wines will likely wish to add some bottles to their collections. 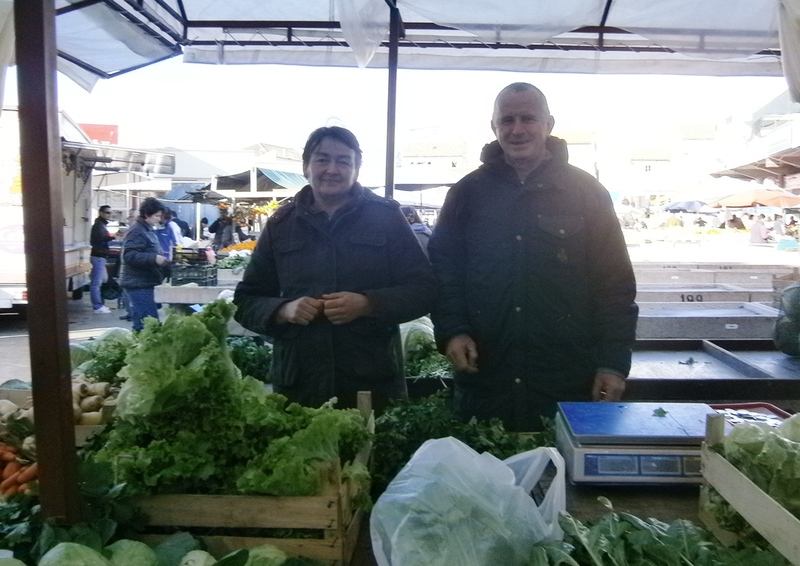 Farm fresh is not just a saying in Croatia. Yes, this was my first time milking a cow. I confess I love cheese. And I have come to learn that not every country has great cheeses. Croatia got it right! There is probably as much cheese-making tradition in Croatia as there is making olive oil and wine. Lucky for me! You should not expect to find a bread aisle in the supermarket. All breads, cakes, cookies, and other baked goods are made fresh daily in a bakery. There are in-store bakeries and independent bakery shops on nearly every block in the commercial areas. Many Croatians still bake their own items if they have time. 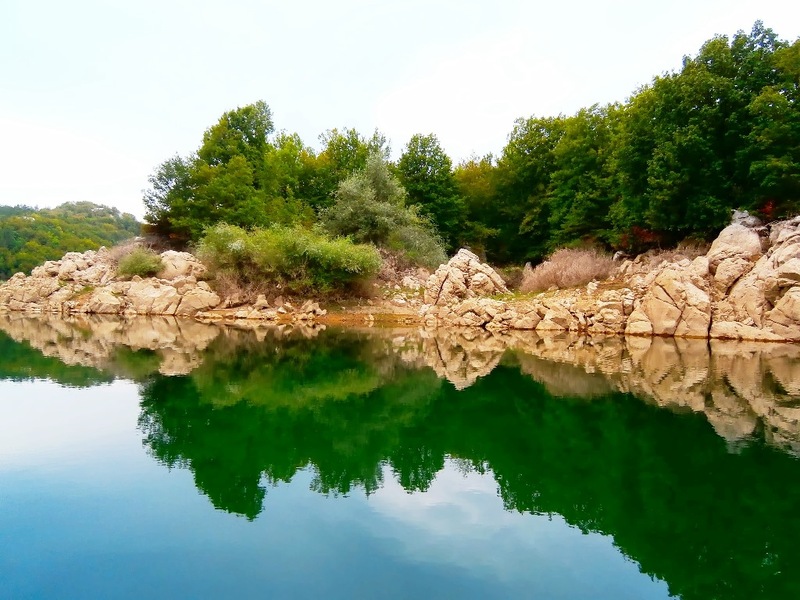 The waters of the Lika River are scenic and pure. Where do I begin? The Dalmatian Coast, Plitvice Lakes National Park, Skradinski Falls in Krka National Park, the Neretva River Delta, Lake Vrana, the mountains, the forests, the islands, the natural springs. 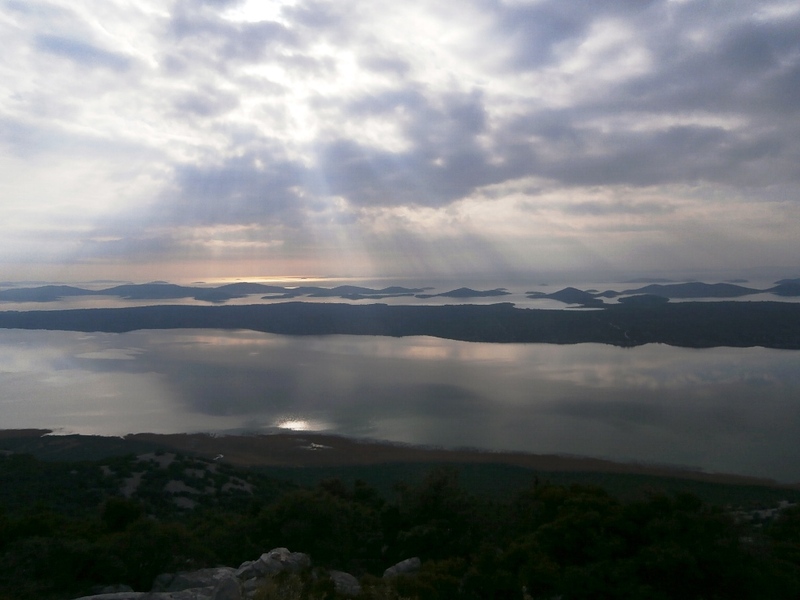 Croatia is so diverse that the list of scenic spots seems never ending. To me there are two key items that define ‘quality of life.’ Being able to breathe clean air is one of those things, and it is not a given everywhere. 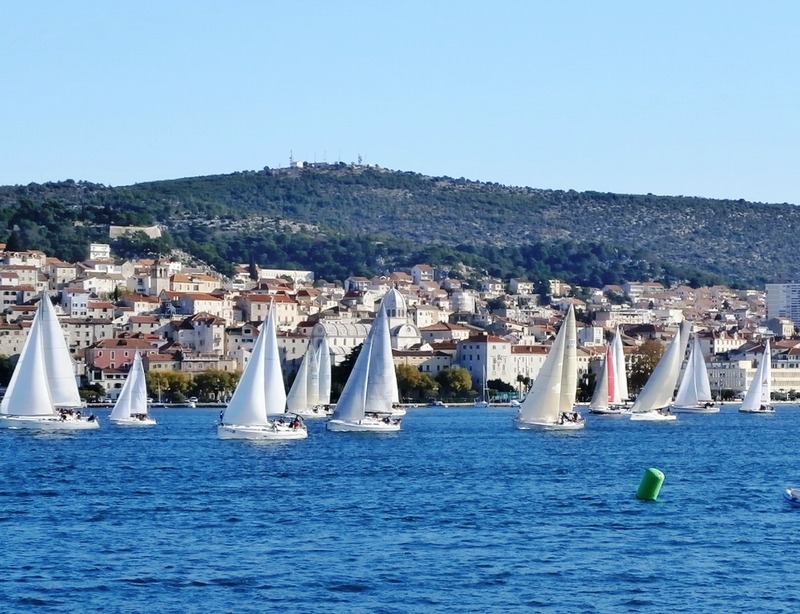 It is in Croatia, especially on the Dalmatian Coast with its steady breezes. 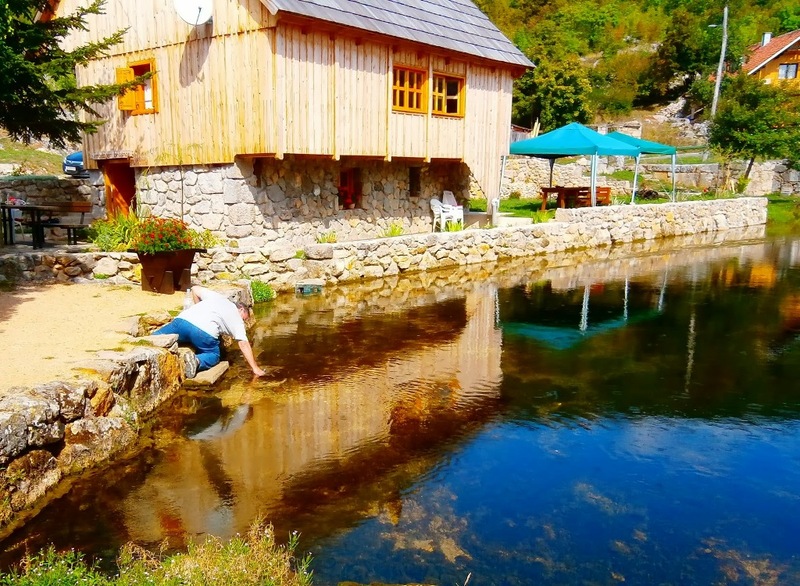 These springs in Lika County have provided fresh water to the area for two thousand years. 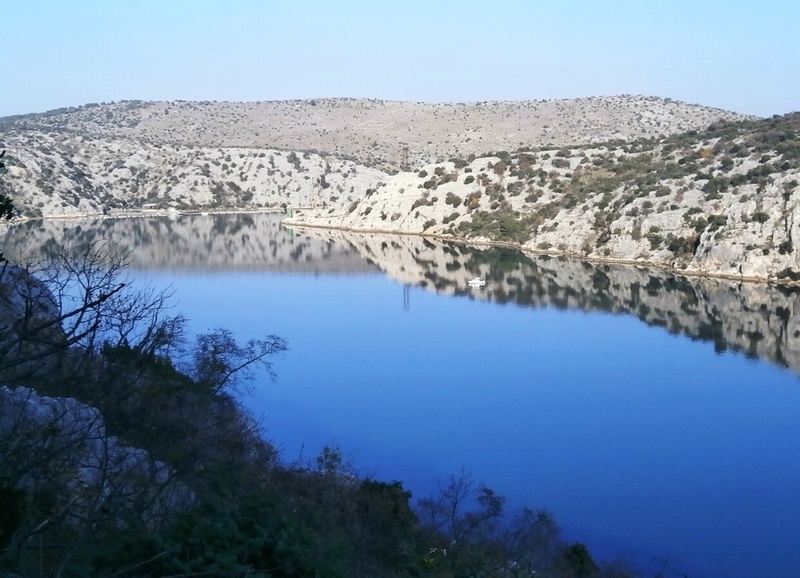 This is the second key ‘quality of life’ item, and Croatia has abundant resources of clear, clean water. Many of their rivers are spring-fed at their sources. You can dip your cup or water bottle into most streams and expect to get pure water better than the bottled water for sale at the market. Wherever I travel I compare the water with what I experienced in my youth hiking past creeks and streams in the Cascade and Olympic Mountains. Clean water is not a given everywhere. It is in Croatia. 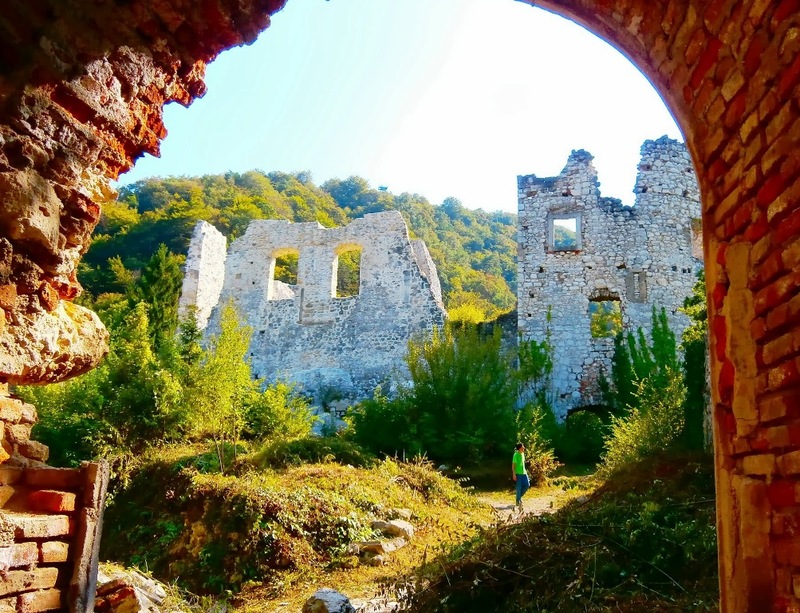 The medieval fortress near Samobor reminds us of the civilization that existed here long ago. Croatia may have finally appeared as a country on geography maps in the last twenty years. 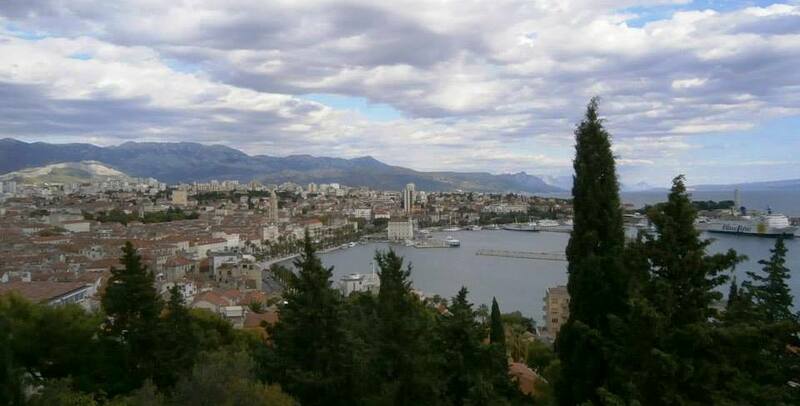 However, as a region with a distinct culture, Croatia has a history of its own dating back over 1,500 years. Many of the traditional foods, dress, music and dances are still common today. They have their own language, their own art, their great legends and their heroes. All of these traditions are woven into the fabric of everyday life. One of the great things about traveling in Croatia is the people are eager to tell their stories and share their culture. 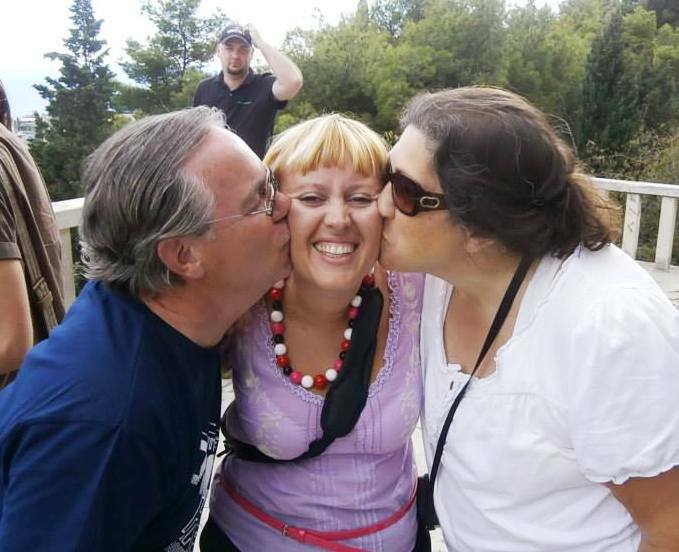 The friends we made in Croatia will be our most treasured memories. I have said this before and it bears repeating. The people of Croatia have been among the most welcoming, most hospitable and most caring of any we have met in any country we have visited. They care how you feel about their country and about them. They want you to appreciate the beauty, the history and culture, the food, the wine, and their hospitality. And I do! One more thing, the women in Croatia are quite style-conscious. In the cities and towns women seldom go out in public without putting on makeup and nice clothes. At first I thought there was simply a high percentage of striking-looking women. Then I realized that women of all ages take great care to look their best in public. The men, not so much. They may be ruggedly handsome, but they do not dress up unless they are hoping to impress the women. That however, is a whole new story. 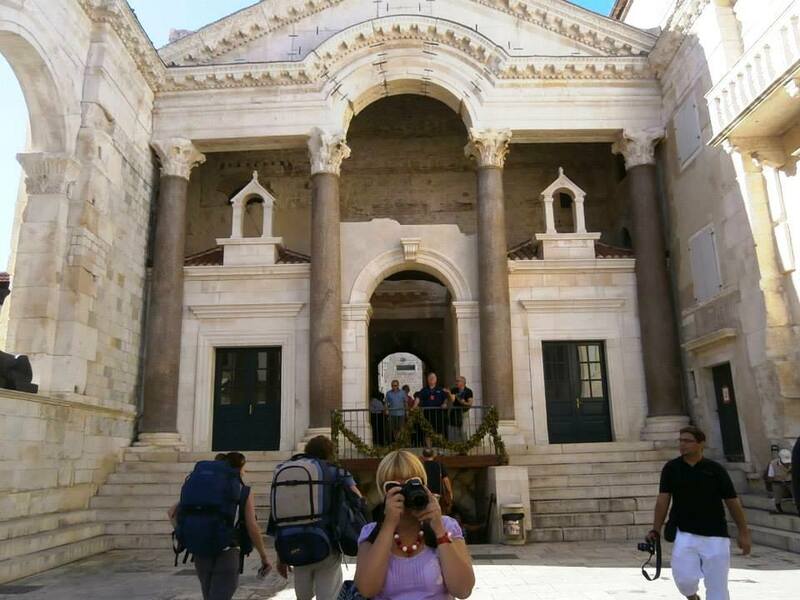 Diocletian, Emperor of Rome 284-305 AD, lived in this palace until he died in 311 AD. He addressed his subjects from this balcony. 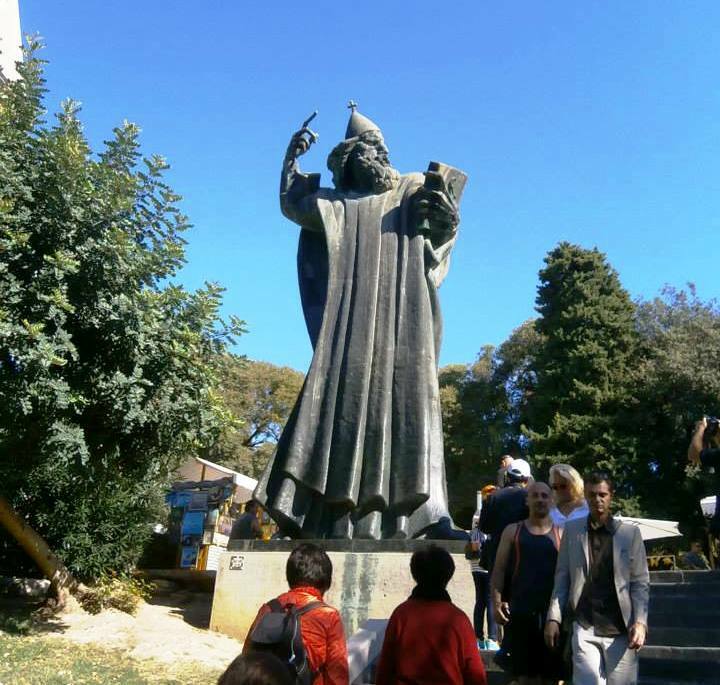 Outside The Golden Gate of Diocletian’s Palace stands this statue of medieval bishop, Gregory of Nin by Ivan Meštrović, Croatia’s most famous artist. We have twenty days between our departure from Croatia and our scheduled arrival in Alicante, Spain. Thus, we will use surface transportation to travel first to Italy. I have seen Naples, Florence, Pisa, and Sicily, but I have not yet visited Rome. Florence informs me one needs at least a week to see and appreciate Rome. So we will do just that. We will then take another ferry, which is more of a cruise ship, to Barcelona and divide our remaining time between Barcelona and Madrid. In each city we plan to reunite with Spanish friends we have made during our travels. How great is that, to have locals help us discover the wonders of their home country! 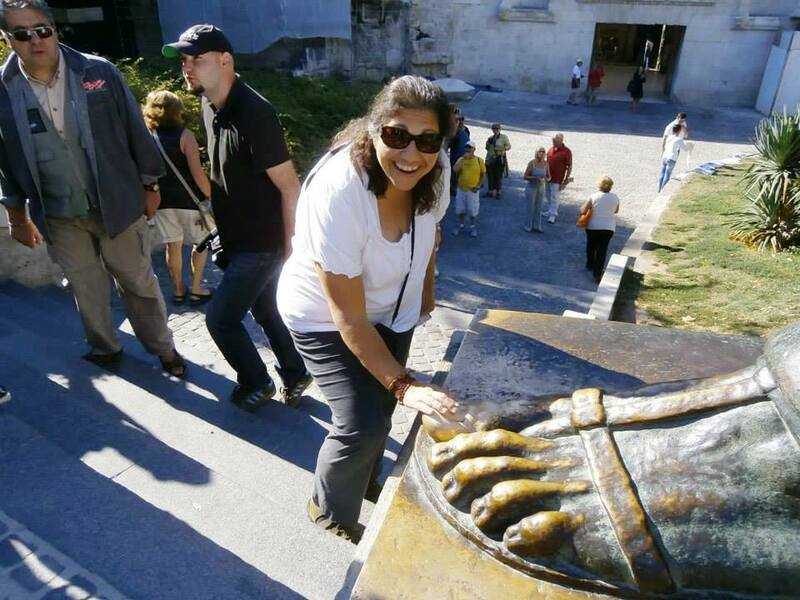 Rubbing the toe of Gregory of Nin’s statue is supposed to bring good luck. Why Spain? One reason is that Spanish is my only other language. In fact, after living in Latin America for over a year I developed this habit. Whenever someone speaks to me in a foreign language, I automatically answer in Spanish. It seems I now have the ability to confuse others in two languages. At least I understand the language of laughter. Since I have learned a few words in Croatian, my pronunciation has also elicited some laughs and smiles. Fortunately, most Croatians speak English, and many quite fluently. 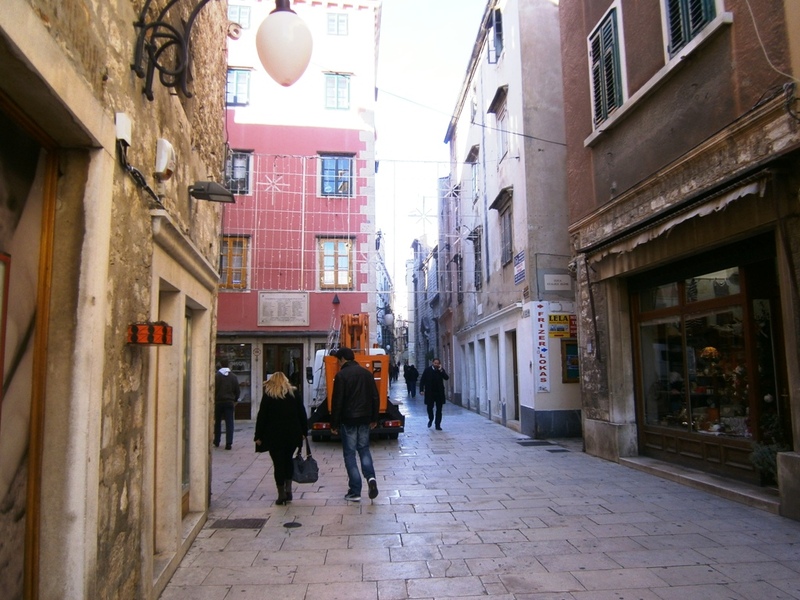 Ivan Meštrović lived in what is now a museum a few block’s from Split’s harbor. If I were to attend school in Spain, my Spanish might be good enough to get me into the third grade, which is to say I have plenty of room for improvement, and I look forward to that. The history of Spain also intrigues me. The Iberian Peninsula played a strategic role in the expansion and development of modern civilization, and Spain ultimately served as the base of one of history’s most dominant and influential empires. Republic Square near Diocletian’s Palace bears striking resemblance to St. Mark’s Square in Venice. 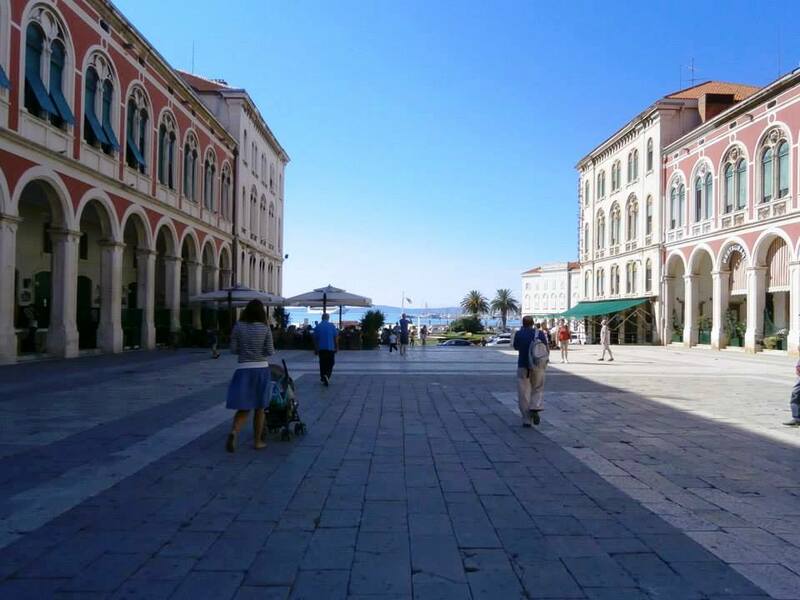 Our guide says Croatian’s painted it pink as a poke at the Venetians, who once ruled here. Now we get to learn about this beautiful land and culture firsthand. So many names of Spanish cities evoke thoughts of something exotic and unique – Cordoba, Seville, Granada, Valencia (the only Spanish city I have visited). I want to visit them all and more: Basque Country, El Camino de Santiago, and of course, the Spanish Riviera which we plan to call home for the next six months. I expect to have many stories to share from Spain. If you have traveled to Spain, what was your finest memory? If you have not visited Spain, what would you most want to see? I would love for you to share your thoughts. *Note: We created a list of countries in which we would like to live that spans the next ten years. Link here for our list and more about The 6 Monthers. Do you think we overlooked a country? Tell us which country and why. We are open to suggestions. The medieval town of Šibenik has been our home for the past few months. 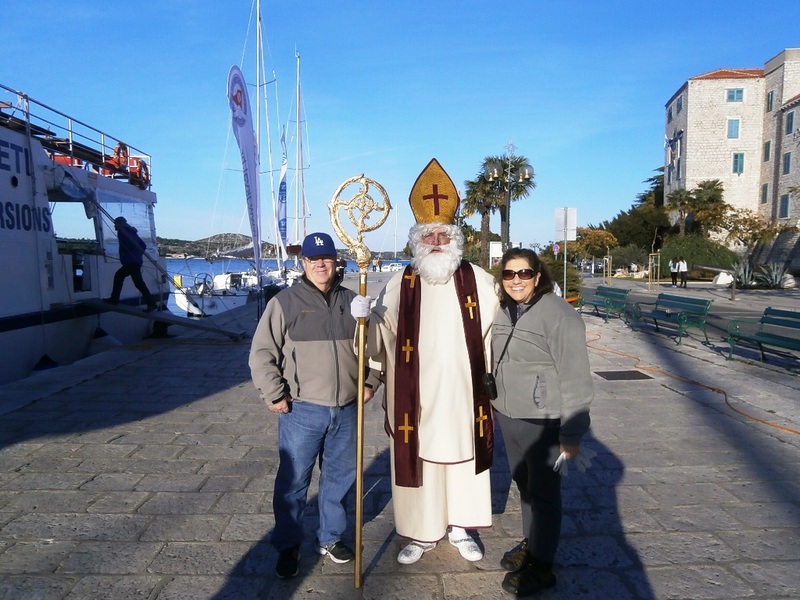 We made a good choice to make the medieval town of Šibenik our home for our time in Croatia. I cannot describe the feeling of living in a town where the buildings date back to the 15th century and the history of the town dates back to Roman times. I love the stone-paved streets just wide enough to let donkey carts pass through, which is how they were designed 500 years ago. 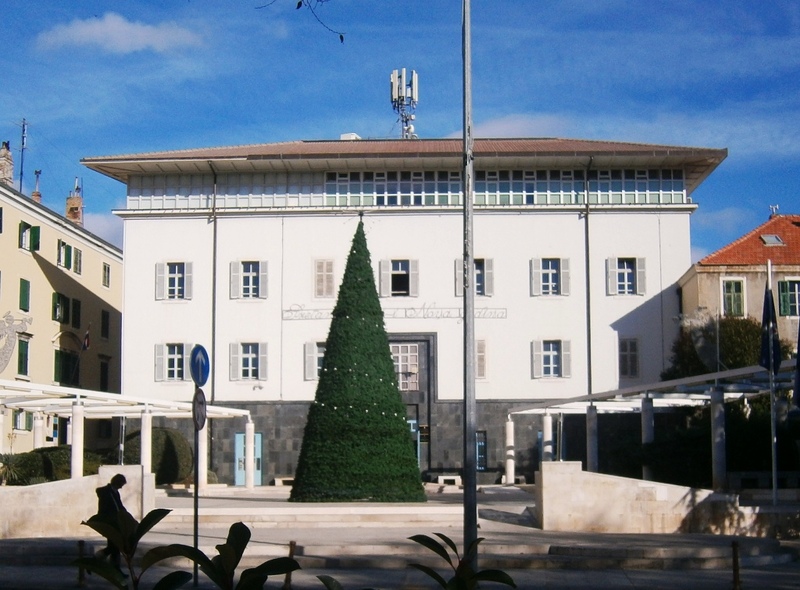 I love our apartment which is divided off of what was once the residence of the Bishop of Šibenik. This we know because of his statue on the wall as we enter the courtyard outside our door. The weather is nice most of the time. I love the weather here on the Dalmatian Coast. There have been December days where we walked along the seawall without need of a jacket as the sun shone brightly on us. I never tire of the view of the bay and the surrounding hills as we enjoy taking coffee at any time of day, just like the Croatians. We have been taken through the surrounding countryside by our Croatian friends to experience amazing sights like the medieval village of Primosten, the vineyards of prized babić (BOB ich) grapes grown almost exclusively in this region, and the viewpoint overlooking Lake Vrana, the largest lake in Croatia. There is so much history here that it takes more than one visit to take it all in. 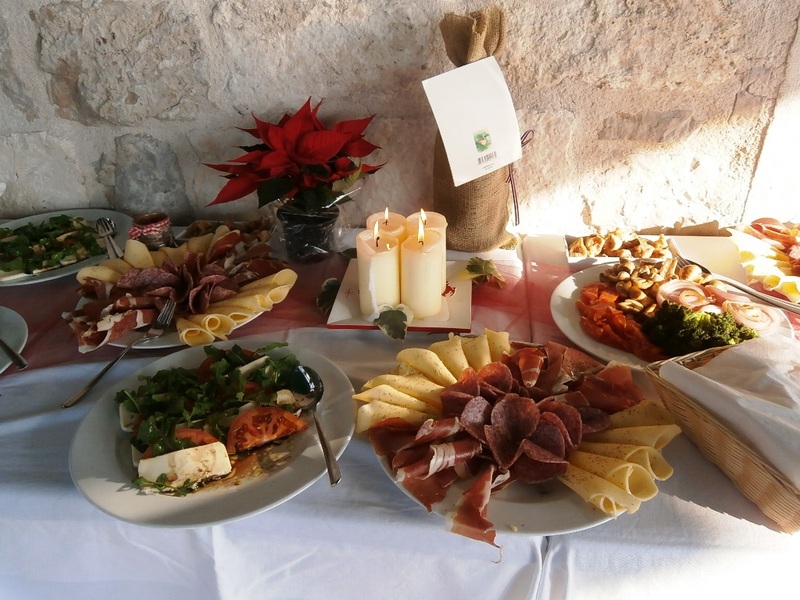 Good food is the standard fare in Croatia. I have experienced so much good food and drink during our stay. The Croatian people live close to the land. If someone does not live on a farm, they are closely related to someone who does. Everyone has home-pressed olive oil from the olives grown on their land or the land of their families. Everyone has homemade wine as well as rakija, the distilled beverage made from freshly pressed grapes. Everyone eats fresh fruits and vegetables grown locally. Everyone gets fresh meats from the local farms and fresh seafood from the coastal waters. I need only walk a few blocks to the open market whenever I wish to restock our kitchen. And now my favorite baker and produce vendor greet me by name when I show up. We love the friends we made in Croatia. The best part of Croatia, of course, is the people. To say they are warm and welcoming would be an understatement. One of our acquaintances told me Croatians are sometimes better hosts to visitors than they are to one another. I do not know to what extent that may be true. All I know is that we have been treated incredibly well. Our landlady, Nina, has been more than a business contact. She has been our most reliable friend. She took Florence to her doctor when Florence was ill. She used her beautician skills to give me a haircut and to give Florence a hairstyling for our anniversary. 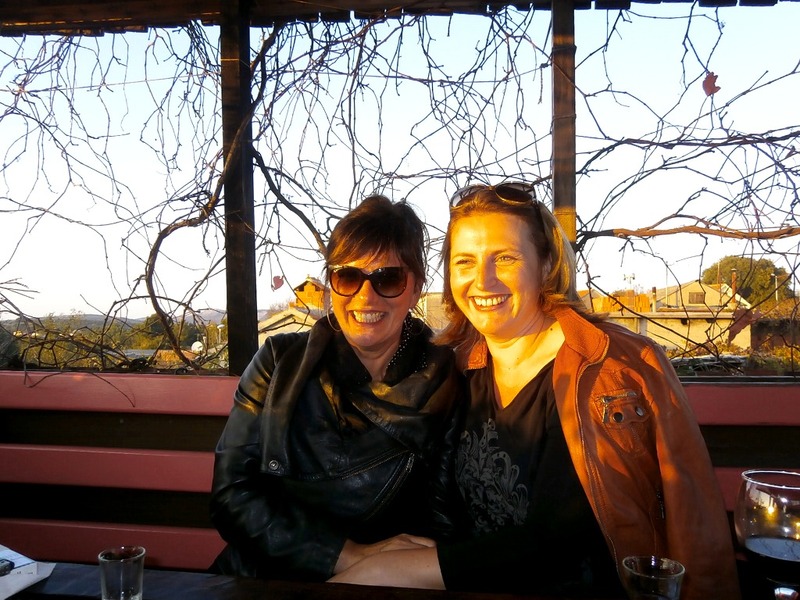 Biljana and Tina toured us off the beaten path to reveal the Croatia we would not have seen otherwise. 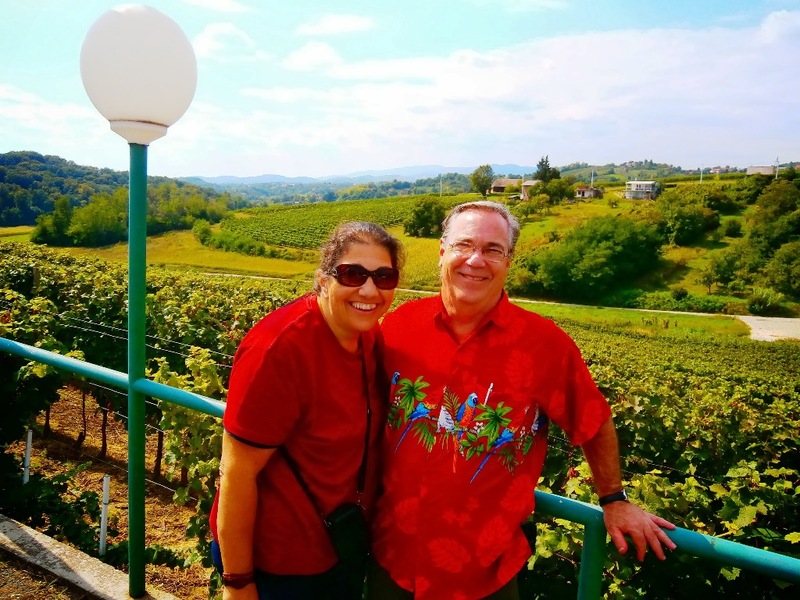 Our friends, Tina Vickov and Biljana Lambasa*, took pride in showing us local hidden treasures that are off the beaten tourist paths. 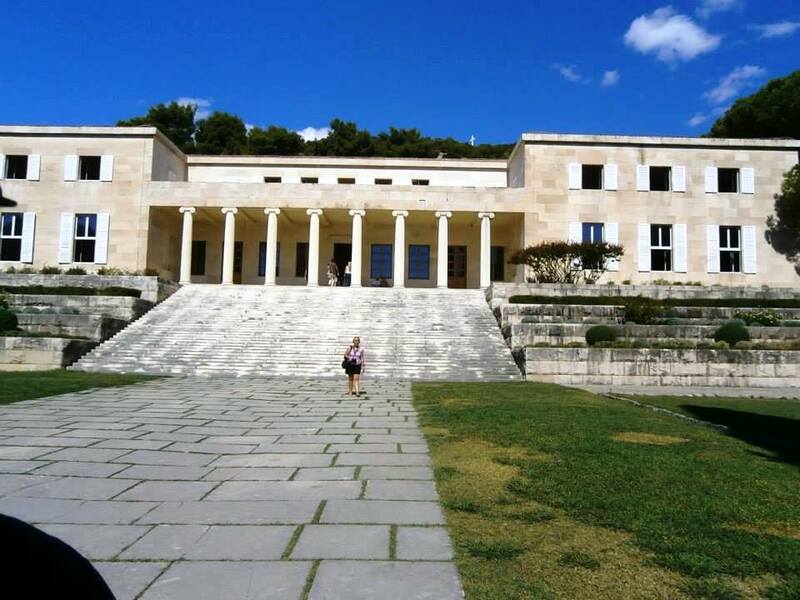 We have seen enough of the islands, lakes, waterfalls, fortresses, and historic landmarks that some of the local people say we now know more about Croatia than do many Croatians. All I know is we have come to appreciate and love Croatia because the people we have met during our stay have not only opened doors for us. They have also opened their hearts to us. We know whenever our path should bring us back to Croatia that they will welcome us back like family. Thanks to the friendships that have been forged, Croatia will always occupy a special place in our hearts. Tina Vickov and Biljana Lambasa. 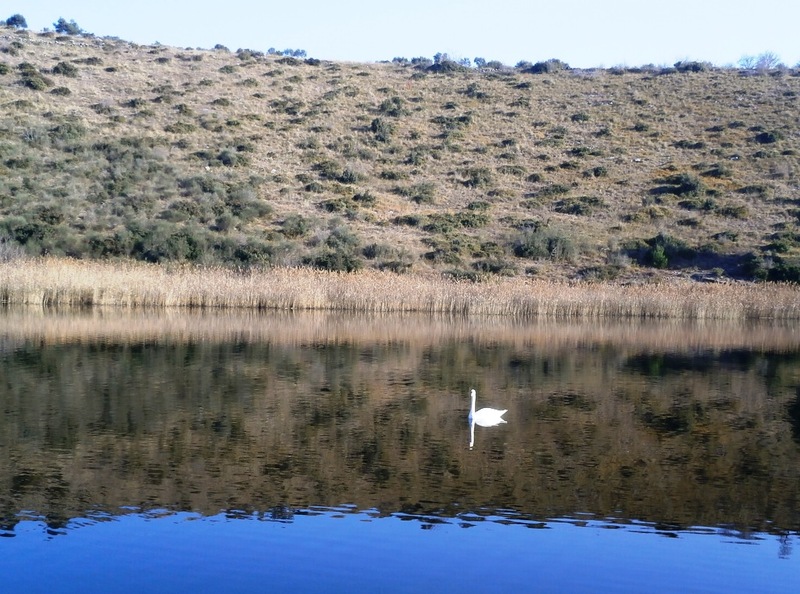 The inland waterways near our hometown of Šibenik are scenic and peaceful, at least in the off-season. Today was a day of discovery for me. Nothing was disclosed ahead of time about where this excursion would be going. My friends have been plotting to surprise me with an outing hosted by diving boat skipper, Emil Lemac. It was finally revealed that our boat trip was to take us into the fjord-like waters near the mouth of the Krka River. What did not come as a surprise was that I was offered a shot of rakija as we started off. Emil welcomes us aboard his comfortable powerboat. Emil was our skipper back in September for our island boat excursion to Kornati National Park. Summer is when he takes scuba divers to the islands for amazing underwater exploration. Winter, when there is not a commercial diving job, is when Emil and his brother maintain an oyster and mussel farm they just seeded this year. There are only a few villages clinging to these sheltered shores. The area remains quiet and unspoiled, at least at this time of year. Emil informs me that as many as 800 boats per day cruise in and out of these inland waterways during the summer months including fancy yachts. 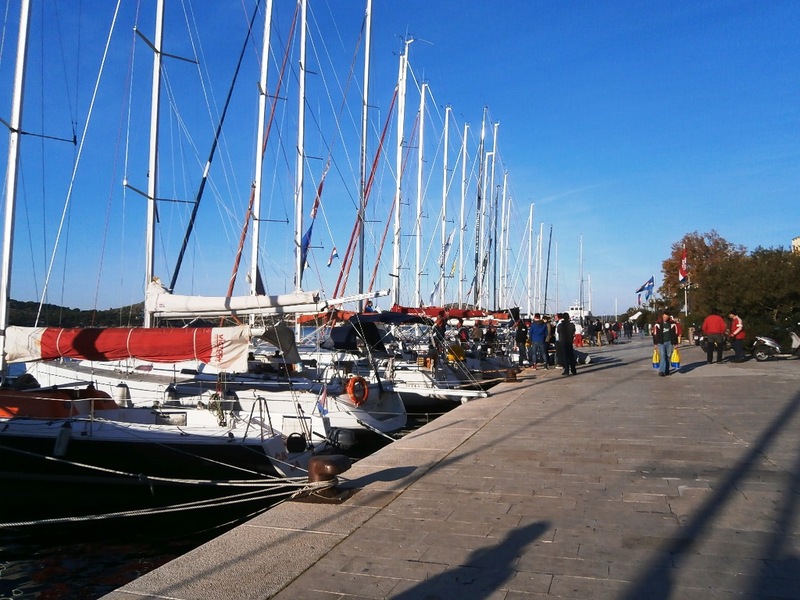 The townspeople of Skradin seem unduly impressed by the rich and famous celebrities that vacation there, and that, of course, gives the town its appeal. Famous people can escape their busy lives here with some degree of anonymity. 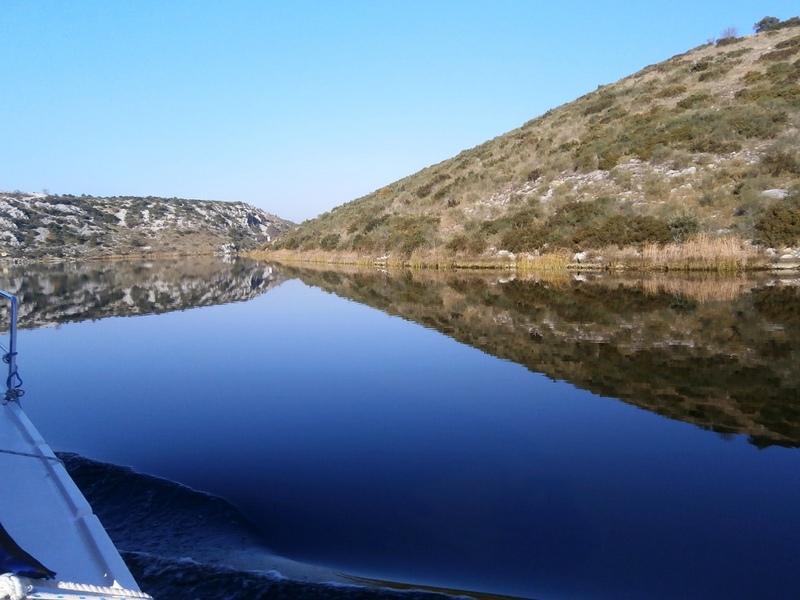 The water is like glass as we enter the Gudića estuary. 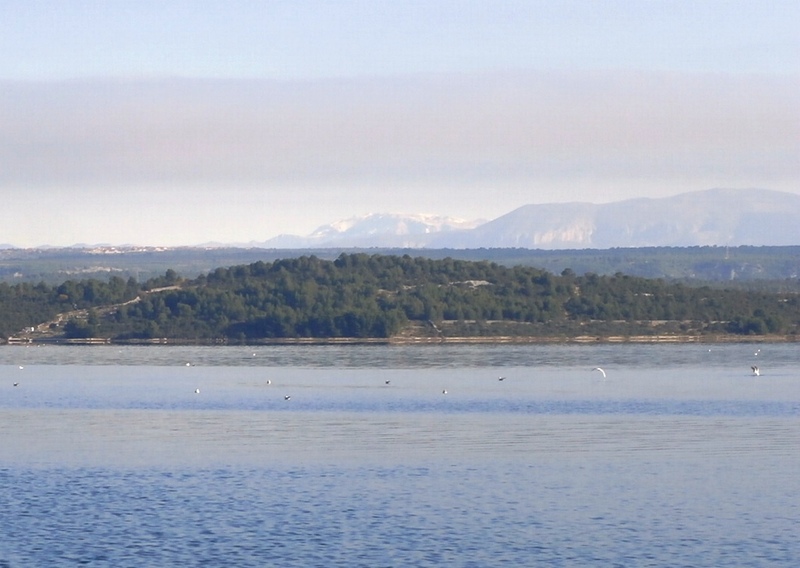 Our cruise takes us to a quiet estuary at the mouth of the Gudića (GOO dee sha) River. No Entry signs are posted in Croatian and English along the shore. I am told the area is a bird sanctuary. I can see by the reeds crowding the shore that this is an ideal nesting area for migratory waterfowl. A swan checks us out while we stop for lunch. This tranquil spot was our lunch stop. Emil and his friend, Boris, readied fresh fish for the frying pan. I helped make a green salad. A fresh loaf of bread and a bottle of wine appeared and we feasted while basking in sunshine and listening to pop music playing softly on Emil’s onboard sound system. On the return trip Emil led me up a hillside scramble to a bat cave he knew about. 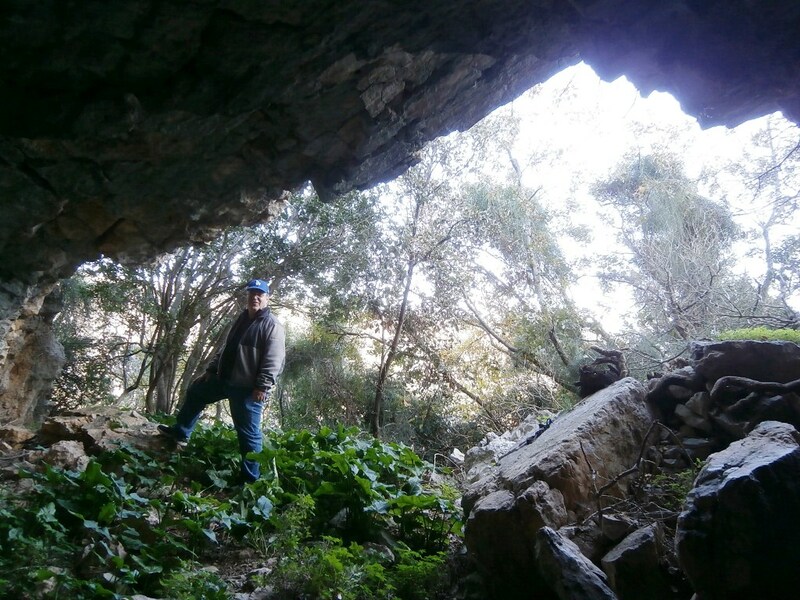 It is not visible from the water below, so not many people visit this cave. There were plentiful signs of bats which Emil informed me were numbered in the hundreds and were sleeping somewhere another 200 yards deeper into the cave. There were also signs of wild boar which are common in this habitat. The surrounding countryside is beautiful. 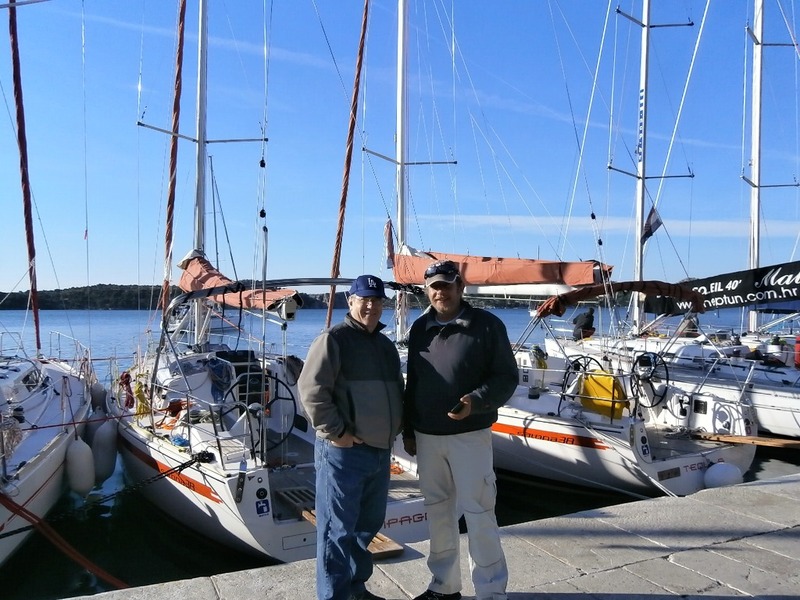 As we headed back to the dock, we meet up with an interesting older gentleman named Zivko. He rents apartments in his modern building near the shoreline. He has created sculptures in his garden which symbolize our galaxy and Earth’s fragile place within it. His site serves as a message to all who visit that we are stewards of this beautiful place, and he warns us we must all tread lightly to keep from destroying the planet for future generations. Having just spent the day in the garden-like setting of this stunning landscape, I also hope this place retains its unspoiled beauty for all the generations of visitors who may pass this way. 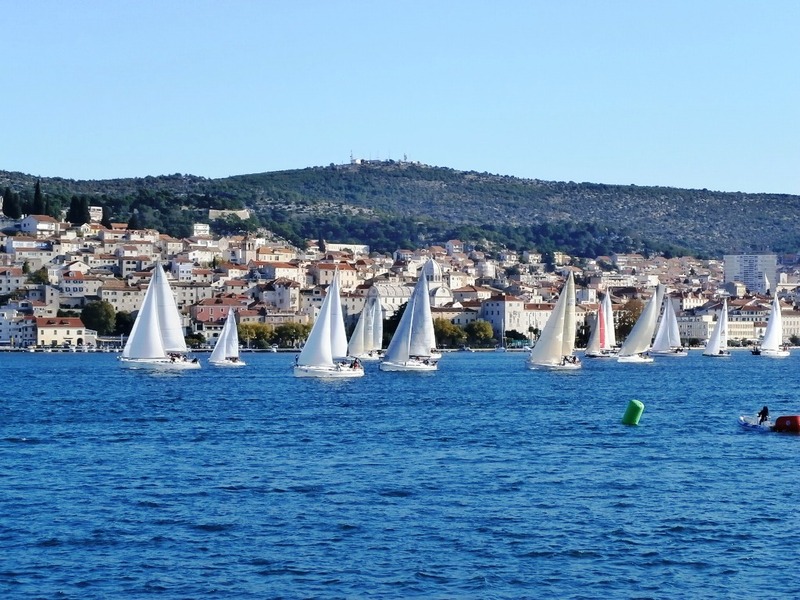 Three dozen sailboats moored along the seawall waiting for the start of the 14th Annual Šibenik Regatta. Saturday morning arrived and we met Nina and her husband, Marjan, along the seawall about a block from our apartment. Marjan’s friends met up with us and designated me as the fourth crewmember on their sailboat. I had done little to prepare for the day because the whole episode was put together as I was going to bed the night before. And that was okay with me because sometimes the most interesting experiences are those that are least planned and most unexpected. St. Nicholas walked among the crowd handing out candy to children. 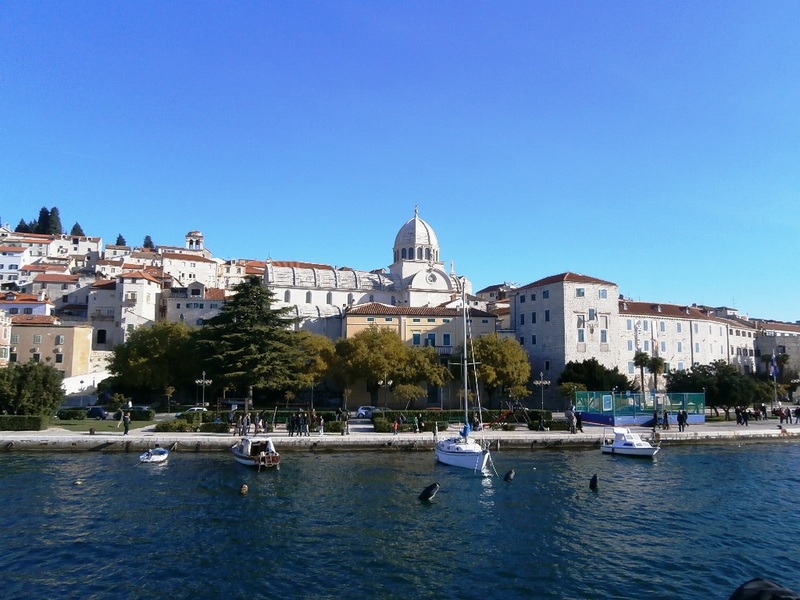 Florence , who is not a big boating fan and has no prior sailing experience, opted to join Nina on the tourist boat that the City of Šibenik provided for family members of regatta teams as well as dignitaries and special guests. She waved at us from the observation deck as we lined up on the course for the starting gun. Thirty-five boats hit the starting line as the clock counts down to zero. Let me share an observation I have made about sailing. There is not a lot to do on a sailboat during a race. The skipper picks your course and you stick with it. That does not mean you do not need to pay attention because wind direction changes and tacking require quick reflexes and teamwork to change course efficiently in a race without losing boat speed. I would guess about ninety percent of the time is spent sitting and just watching things which makes for long periods of stillness punctuated by brief moments of pandemonium. 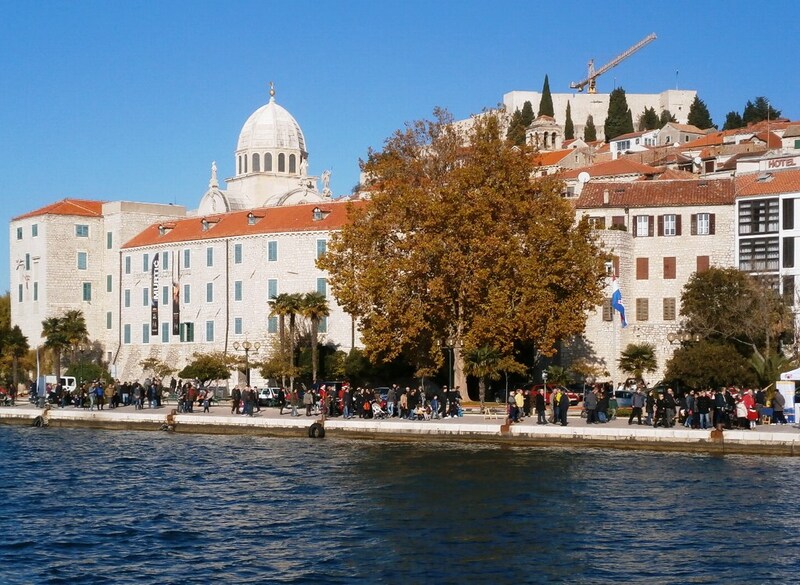 The waterfront of the beautiful medieval town of Šibenik, our Croatian hometown. Some people would say the still times make sailing boring. Although I would not take issue with that statement, I would add that boredom is a condition that is undervalued and underappreciated. After working for forty plus years, I used to long for the days when I could regale myself in sustained periods of boredom. You may, if you wish, think of me as an ‘aficionado of boredom’. Thus, I had no difficulty adapting to my day aboard the Champagne, our regatta entry. Mike and Captain Vlado and our sailboat regatta entry, Champagne. During the longer legs of the course there was time for a beer or two and there were prosciutto and cheese sandwiches for when we got hungry. We also found a couple of things worthy of a toast which called for shots of scotch all around. Let’s see – we toasted the sunshine because it was a beautiful day. We toasted each other, and we toasted the end of the race. I think we came in third in our class, but I cannot say for sure because I was pretty much toasted by then. What a great day. 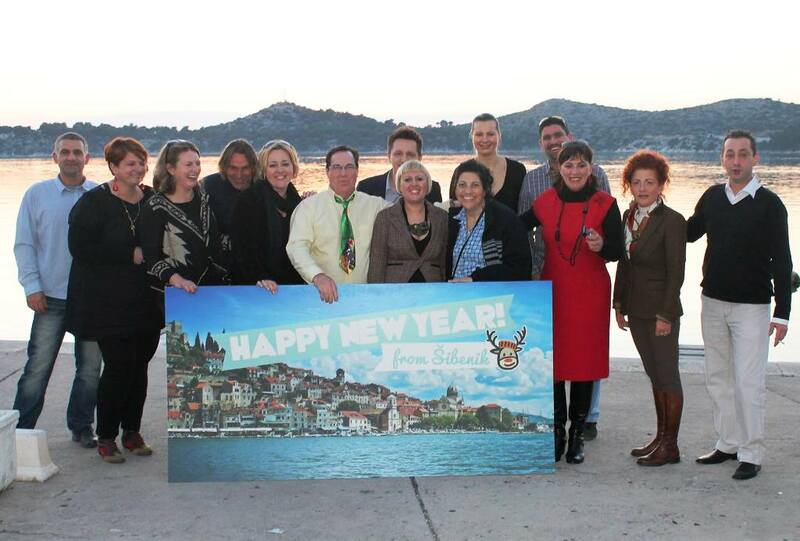 Here’s to you, Šibenik!